Choose a room you use every day to brighten the winter months. The bathroom. It can be easier than you think. Some cool new fixtures and fresh paint will do the trick! For a real makeover consider new flooring while you are at it. You don't have to sacrifice style to get a low-maintenance floor. The newer vinyls provide an upscale look with waterproof protection. One of the latest design trends for floors and walls is using contrasting tile styles and colors. Create a unique look by making a tile design on the floor and/or wall and then framing it with edging tiles. Every time you step into your new bathroom it will be like a relaxing retreat as you enjoy the fresh new look and colors. 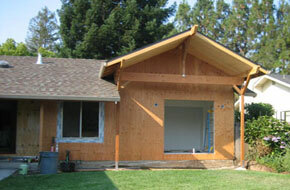 We can show you how easy it can be to do a quick make over or full remodel by calling us at 707-257-2222 today. You might not need extensive earthquake protection added to your home but a simple, often overlooked item is your hot water tank. It can be a quick fix to keep 50 gallons of hot water safe in an earthquake. Napa experienced a big one not too long ago but even a little temblor can dislodge an improperly installed heater. For this reason, your hot water heater must be properly strapped, vented, and elevated depending on where they are located. 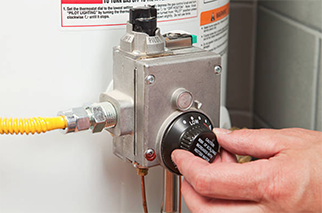 The County of Napa sets up hot water heater installation guidelines that you and/or your contractor must follow. They are simple, and the materials are usually inexpensive but important to carefully heed. We often install hot water heaters when we remodel kitchens and bathrooms. Insurance claims from hot water heaters damaging a home can be denied if yours was not properly installed. Our crew can pull the proper permit for you and make sure you are meeting all the requirements to stay safe - call our office today (707-257-2222) to evaluate your needs for earthquake safety. A licensed contractor such as myself will do the work to keep you out of hot water! Is an "In-Law Unit" for You? Accessory dwelling units are an extended dwelling place of the main house. They can be over your garage, a basement apartment or a tiny house located near the main house. Homeowners often use these units for additional income. Also used to give space and privacy while keeping the family connection for parents, older children and guests. Some homeowners are even retiring to the “garden cottage" while they get a nice income from their main house. A unit such as these can add value to your home while creating options for now and the future. 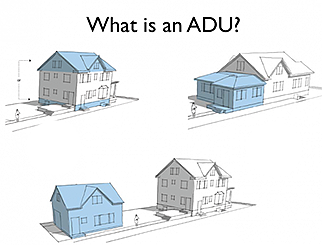 Give us a call (707-257-2222) and we will make an appointment to come out and see where an ADU can fit into your life. 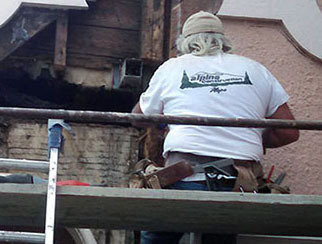 The Alpine Construction crew has been specially trained in the type of work that is required to carefully secure your home to its foundation. Check out the program and sign up here: Brace & Bolt. You will also find that Alpine Construction is listed as one of the preferred contractors for this program. You may qualify for up to $3,000 toward a seismic retrofit of your house. So, check it out and if you need help give us a call. This is the summer for you to finally put in your new deck with a great awning. No need to keep holding your BBQ on the lawn when you can get off the dirt and onto a clean smooth deck. This photo is of one of our client's deck who chose to make a special place to relax under a great awning with a simple style that is timeless. Composite decking, has come a long way in 20 years. Other products don't come close to the fade and stain resistance that the gorgeous and affordable Azex® high-performance boards deliver with their unbeatable guarantee. Get a quote on your dream deck by scheduling an appointment with our staff today ~ Phone: 707-257-2222. This look is likely going to be around for a long time. 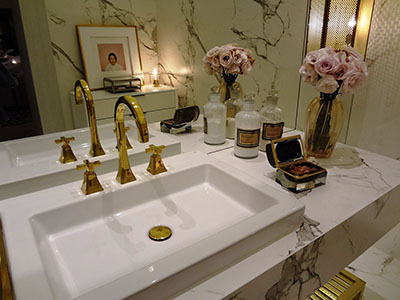 It is an attractive practical application for the modern bathroom. Wall mounted fixtures can make any room look larger which is most appreciated in a tiny bathroom. Floors are easier to clean without anything blocking your mop! The streamlined look can help show off other features such as a stunning soaking tub. More room for radiant-heat flooring to get the most out of your choice for heating your bathroom. Allows interesting decorating techniques such as extending your tile to the floor and under the fixture for a seamless look. Some put the extra room under a vanity for a child's step stool or to keep an extra towel handy. Once you decide this is for you give us a call and we will help you make it happen! Curb appeal is not overrated. A good looking home and front yard makes you happy every time you come home, is a friendly greeting for your friends and neighbors and adds value to your investment. 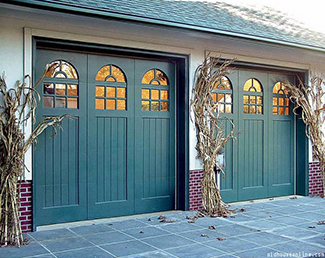 Three quick "fixes" we can help you with to improve your curb appeal are: a new front and garage door and a garage door opener. We can do them in a variety of materials and finishes. This is a good time to consider adding some security features with new locks and cameras. Some quick "fixes" you can do yourself are: install a new mailbox, new street numbers on the house and/or painted on the curb, and freshen up your flower beds/boxes. So, you read that Ultra Violet is the Pantone paint color of the year for 2018 but is it for you? Will you still love it in a week, a year? Only you and time will tell. The image to the left for this monthly blog is also a link to an article you might want to check out on mistakes people make when choosing paint color. Very often trending colors are the ones people regret. Using a color as an accent might be the solution, you get a splash of color and it is easy to change. Our painters are happy to help you with color choices but in the end, it is your decision. A vibrant color like this one might be just the thing. If you decide it’s not a long-term favorite, no harm done! We can easily repaint! Are you like Tim in the TV show Tool Time, having a daily chat with your neighbor over the fence? Or do you require more privacy than that? 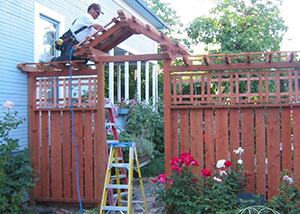 A common solution to a short fence is adding a fence topper to get the extra height. These toppers can be fairly open, as the one pictured here, that we did for a local customer or more solid for even more privacy. The key is to decide what your end goal is and then look at your options for color and style. Materials come in a variety to please everyone. We can match your current fence or use a contrasting product to add texture and interest. For a solution to a "too short" fence or a new fence from the ground up give us a call (Phone: 707-257-2222) for an estimate appointment today. Are you thinking about that master bedroom/bathroom suite you have always wanted? Or maybe you would like a great family room where everyone can kick back and have fun? It is easier than you think. Several things are imperative when you add on to an existing home. You want your remodel done in such a way to add value. That means designing the addition, so it looks like it is part of the home not just "stuck on". Also having proper permits so you will not have to remove it when you sell the home. Is it a room addition or a remodel that is needed? Are you "bumping" out or up? Hire a crew like ours who will respect your living space while adding on more! Our crew can help you through every step of the way. Give us a call (Phone: 707-257-2222) to see how easy it is. Time fly's when you are having fun or is it when you are busy? Well. either way we have been both! 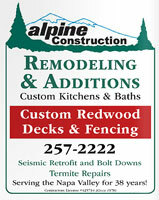 Alpine Construction is celebrating 40 years of serving the home owners and business in Napa Valley. We so appreciate the loyal support from our community. Our many repeat customers prove that we have what you were looking for - affordable and high quality. Over the years, I have watched Napa grow from a small sleepy agricultural community to a world class destination for foodies, wine lovers and any who seek a beautiful place to relax and renew. All the while the locals are busy raising their families creating that unique “Napa” look - a great blend modern and historical architecture as they live out their dreams. We look forward to helping you do that - one project at a time! Earthquake Protection for Your Home? Just a reminder to those who missed my blog at the end of 2017 about the earthquake protection program. You need to be aware it has a limited time for you to sign up and then it is gone. 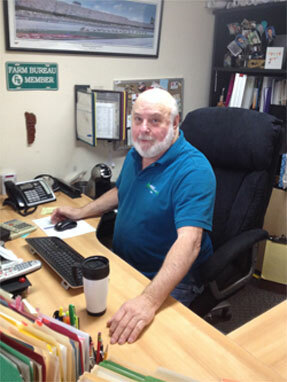 Our certified staff can set up an appointment to inspect your home to see what needs to be done. Contact me at 707-257-2222 to make an appointment for an inspection to see how this program can help you. Home remodeling trends for the new year are bringing back some tried and true traditional favorites for the kitchen. One of the most popular rooms in a home to get a makeover is still the kitchen. The minimal look with fewer upper cabinets is one trend in particular that seems to be here to stay. Borrowed from the farm house - the modern kitchen is looking great with effective use of shelving instead of upper cabinets and deep drawers in lower cabinets for your dishes and pans. 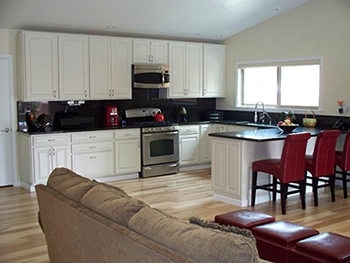 We see a lot of white kitchens with just a pop of color allowing a home owner to get a clean crisp look. On the flip side, we see just as many who want color, and lots of it. Cabinets are getting painted and new hardware for a quick inexpensive facelift. Our staff can set up an appointment to review your options for that great new kitchen. Give us a call at 707-257-2222 to make an appointment for an estimate on what can be done to get your kitchen updated for 2018. Love your ideas for a bathroom update. Wondering what you can suggest to warm it up? It is always chilly in there. Your feet will love heated floor tiles. Installing a radiant system under the tiles will do the trick. Also heated towel racks expertly installed will totally give you that spoiled spa day feeling. I want to move my hot water heater into a closet. Can I do that? The simple answer is - Maybe. There is a lot more going on to move a unit than just the question "will it fit?". Your tank must be properly vented to the outside for air and drainage/overflow. You will need to run the water pipes to it and of course make sure it is strapped. A CO2 monitor may be required as well. Also some closets are in rooms that are not allowed to have one at all. Check out the link provided in our November blog to the county pdf for their rules.
" What is a "second unit" and how many can I build on my property? " A second unit is a complete, independent living facility for one or more persons, including permanent provisions for living, sleeping, eating, cooking and sanitation on the same parcel on which the primary unit is situated. Napa County allows one second unit per legal lot.
" Can I hire just any contractor to do the work on my house with this program. " You will want a Licensed contractor educated in seismic retrofits. Starting with the 2019 EBB program, homeowners must hire contractors from the EBB Contractor Directory. Our workers have been trained to identify common seismic vulnerabilities and identify rehabilitation approaches. Check out the Homeowner Reviews about our work on their web site! Type in our zip code 94559 on this search with within 5 miles as a filter and it will pull us up. Brace & Bolt.
" So what's the deal with the warranty on this Azex® product? I want my deck to last a long time. " Then you are going to love this product it has a 30 year guarantee. Azex® capped polymer and PVC performance materials resist scratches, stains, mold, and mildew. They back your deck with an industry-leading 30-year limited fade and stain and a limited lifetime warranty and promise protection from cracking, cupping, and more. Call us for more details.
" 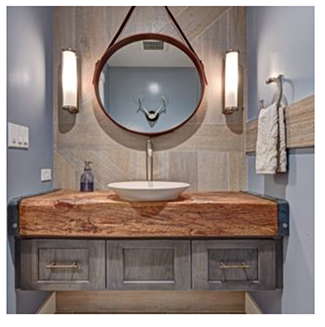 I love the look of the floating fixtures for a bathroom. Am I right in thinking this is not one for the "do it yourself" kind of home owner? " Your right about that! You need a professional to mount these fixtures. You really don't want one of these to fall creating an injury to someone and or water damage to the home. We may even need to do some special framing for support. Call today for a free consultation, 707-257-2222.
" Your suggestion for upgrading the front of our home is just what we need to get our home ready to sell. How do I choose my new doors? " Getting the style right is important so the new doors complement your home. You want them to look like they belong to the home and were not just stuck on. One way is to take a photo of your home and then view it alongside photos of doors to see if they complement each other.
" I have some paint color ideas, but it is hard to decide just using the little chips of color. Any suggestions? " You are right about those chips. They can be hard to use because you may not get enough of an idea of what your room will look like. We like to use the newer "samples" which are actual quarts of paint that we paint on a wall for you. You can choose one color or several and we will paint some nice size swatches. You can even live with them a few days or more to see how they look with your lighting and decor.
" A higher fence would be great. Can I choose any height I want? " That depends on where you live and the local regulations. Your city and county may have regulations on fence height and even the materials that you use. We also need to take into consideration your neighborhood rules and regulations. Subdivision often have Covenants, Conditions & Restrictions which often dictate what you can and cannot do. Our staff will help you research the rules for your property and make sure your fence topper or fence is in compliance before it is put up. Also you may need to get permits and permissions from these different agencies. Give me a call and we will see what is required.
" I would love a master bedroom with bath addition. How do you make sure we can still live in my house while you are working on it? " Not everyone can move out for the duration of a remodel. So, we have developed ways of minimizing the interruption in your lives while we work. Our workers are trained to "wall off" your living area with walls of plastic to keep the dust from entering it. We also clean up after each day, so your evening and weekends are not spent stumbling over saw horses etc. We cannot guarantee that you will not be inconvenienced but we always do our best. When it is done I have had home owners tell me "It is like labor pains - you totally forget them when you see the results".
" Congratulations on 40 years of being in business. What do you attribute to your longevity? " Thanks so much. I think the most important thing for longevity is you have to love what you do. If you don't love it you will not be able to stay focused and keep up with the changes in your industry. I enjoy each project and look forward to seeing a customer’s ideas and dreams become a reality. That what makes it worth coming in each day.
" I love the new look with fewer upper cabinets. How do I get it and still be able to put everything away? " My favorite option to get more storage in your kitchen is with a pantry. Even a small home can often have an area that can be repurposed as a pantry. A pantry can organize your cooking supplies, dishes and small appliances giving your kitchen that clean uncluttered look.